Wide and deep. The long awaited Deep Range model is ready for launch! 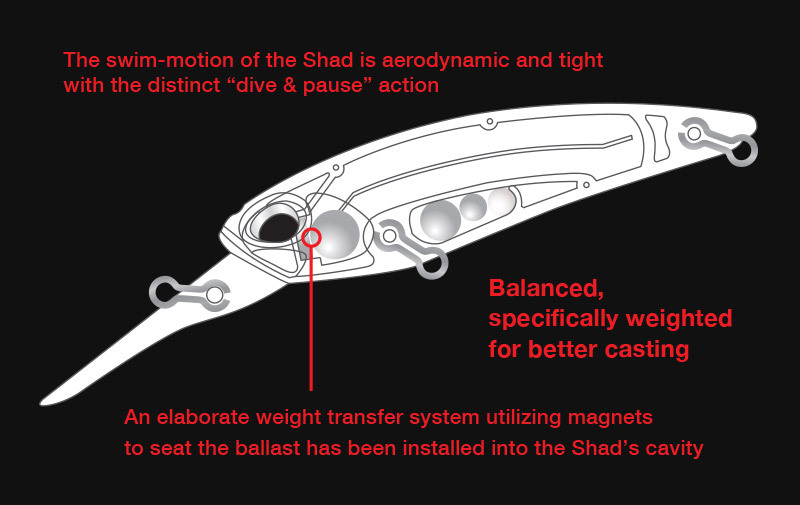 It has a stress-free quick diving motion with a consistent castability. The lure is responsive to various retrieval speeds and rod work. 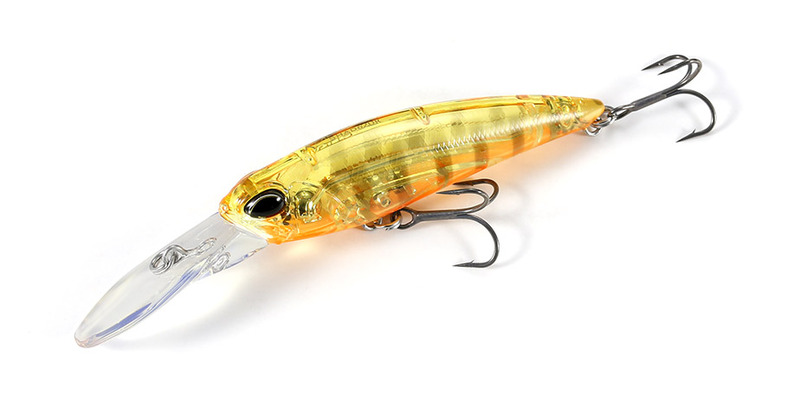 The Realis Shad 62DR will increase the width and depth you need to cover. We have loaded the body with a moving weight system + magnet detaching system. By giving the body ample volume, we were able to secure a large space in the interior section for the 5.6mm steel ball to transfer the full length of the body. The weight transfers from the tail end (when casting) to the head (when retrieving), allowing for a smooth dive down and a stable casting posture. It has a great action response to both slow and fast retrieval speeds, while having great balance and reaction to the anglers twitching, jerking and pausing technique used by the anglers rod work. In the least amount of moving distance, the sharp panic-darting action will help captivate the bass in the toughest of times.